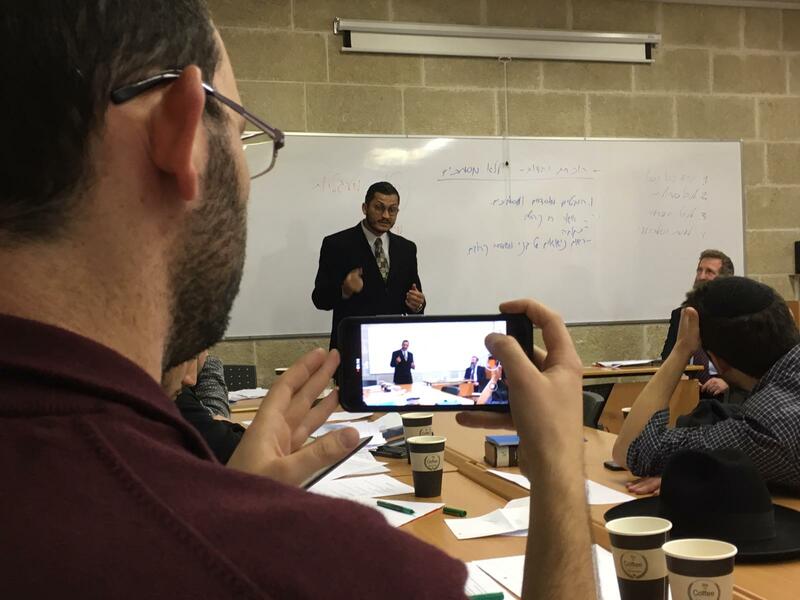 Rabbi Avraham Elbaz Franco, a musmach of the Joseph and Gwendolyn Straus Seminary‘s Kollel Torat Yosef, delivers one final dvar Torah to students in the Straus-Amiel Emissary Training Program for rabbinic shlichim. Elbaz Franco embarked the very next day on his new mission as Rabbi of Belmonte, Portugal. Belmonte is, perhaps, the Portuguese town with the strongest Jewish presence; it stands out because it was a unique case within the Iberian Peninsula, where Hebrew culture and tradition have lasted from the early 16th century until today. After King Manuel published the edict which expelled all Jews from Portugal, a group of Crypto-Jews remained in Belmonte and it has survived until today. Although they were often persecuted, they maintained basic Jewish rituals and kept tradition alive for 500 years. In 1989, the Sephardic Jews in Belmonte returned effectively to Judaism and founded today’s Jewish Community of Belmonte.